Eli Lilly and Company yesterday announced that they are conducting the first major international, prospective observational study intended to understand the real-world difficulties that people with type 2 diabetes face that result in preventing them from attainment their ultimate treatment goals. Many people with diabetes who take daily insulin resist a progression of insulin therapy that could help them reach their ideal blood sugar objective. The MOSA1c (A Multinational Observational Study Assessing Insulin use: Understanding the challenges associated with the progression of therapy) study will aim to find out why by collecting data on insulin use, interactions between people with diabetes and who are treating diabetes, and other factors involved in the progression of treatments used to manage diabetes. MOSA1c – the first international study of its kind – is a part of Lilly Diabetes’ wider commitment to improve the lives of people living with and treating diabetes by developing personalised solutions and support that complements their existing portfolio. 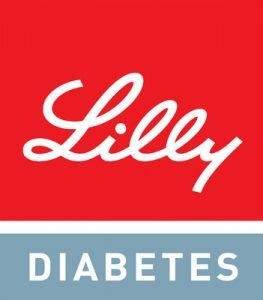 Lilly has partnered with Brigham and Women’s Hospital and Harvard Medical School to conduct the study, which started enrolling patients in July, following 4,500 people with type 2 diabetes taking insulin in the U.S. and 16 other countries for two years. As diabetes progresses, people often need to intensify their treatment by increasing their insulin to avoid spikes in blood sugar level that can damage blood vessels. Though there is a great deal of research on why people with diabetes resist moving from oral medications to insulin, there is scarce information to help understand the barriers to insulin intensification. Robert Heine, M.D., vice president, medical affairs at Lilly Diabetes, commented that “at Lilly Diabetes, we understand that type 2 diabetes is influenced by behaviors that, if understood, could be adapted for improved management of the disease.” “The best way to achieve our goal is to understand not only how they respond to therapy but also what barriers exist in daily clinical practice that prevent the best care,” he added. Provisional results from the study are expected to be available in mid-2012.